"The Bible...We Want Everyone To Have One!" Free To All. Delivered by the truckload, package or by hand. To men, women and children throughout Eastern Europe. In more than 20 languages to nations of the former Communist Bloc. Sharing God’s Word, educating and inspiring people everywhere. As followers of our Lord and Savior Jesus Christ, we at EEM share God's Word with the people of Eastern Europe and seek to educate and inspire God's servants everywhere to partner with us in His ministry. 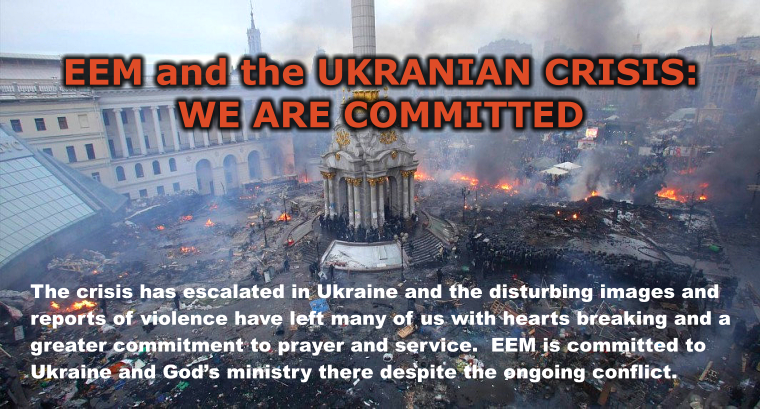 As a veteran in the field, EEM knows the territory, and as sociopolitical governments and the dynamics in Russia, Ukraine and Eastern Europe have changed, so have EEM’s opportunities for reaching people. With the demise of communism and the birth of new freedoms, EEM has been able to gain easier access and is developing new materials and programs to meet the changing needs in the former Communist Bloc.